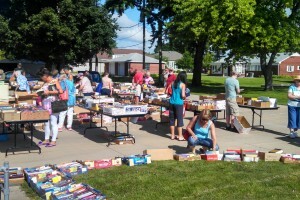 Friends of the Library Book Sale will be held Saturday, June 16, 2018, from 9 AM to 1 PM in the library’s circle drive during Oglesby’s Summer Fun Fest. Kids who participate in the first week of Summer Reading will receive a card for 2 free books of their choice from the Book Sale! Want to donate books for the sale? Bring them to the library anytime! Want to help set up for the sale? Come to the library an hour before the sale to shift tables and carry boxes of books!